When we think of keyword research, it is usually applied to the more technical side of promotion. 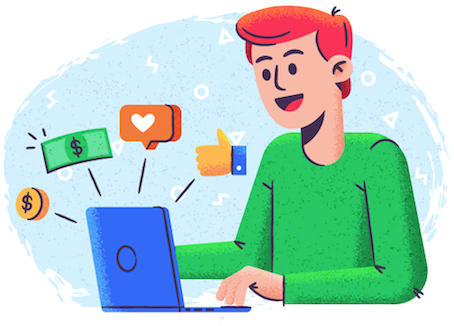 Brands use it to see what SEO tactics they need to use in order to narrow down their place in a market or what their competitors are doing to generate search referral traffic. Keyword research is a staple for these purposes, as well as for establishing a baseline for potential audiences. But keywords are also one of the greatest tools a content marketer has at their disposal. Using keyword research, you can create content that addresses customers’ specific needs, turn your brand into niche knowledge hub and increase brand recognition. There is no singular way to begin, or even singular way to use keywords to ramp up your content skills. It takes a lot of trial and error to create your brand keyword research strategy and this guide will point you in the right direction. What are people who are interested in your niche looking for? What questions do they have? What do they like? What do they read? Keywords offer a lot of insight into these factors, giving you a glimpse into the common searches that your audience is performing. The goal is to see what they want and then provide it. Who is it that you are writing to? Who should you be writing to? If you find that your content is falling flat, there is a chance you aren’t narrowing down your demographic enough or you might be missing your audience entirely. You may be surprised to see how those factors have developed and evolved over time. When you are just entering the niche and starting your website, this step is the most essential one: start with what you know. What are the core terms your business focuses on? Sit down and make a list of all the terms your site is about. But don’t get too specific. At this point you are working on the list of your core terms, i.e. those common knowledge terms for which you are building a business. If you try to come up with hundreds of terms, you will only become overwhelmed. Don’t worry, there will be plenty of time to expand your list as you progress. Once you have the basic list of your core terms, use the tools below to generate more specific suggestions. Generally speaking, not all keywords are going to be a good bet, because they are already dominated by large brands. 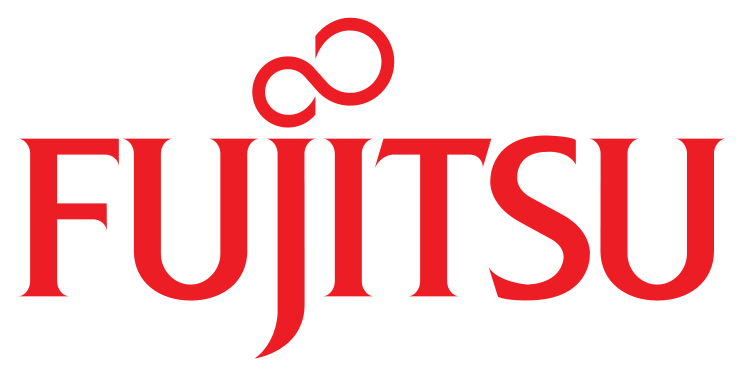 Let’s face it, you could be the most delicious snack food brand in the world but you probably aren’t going to be able to compete with the marketing powers of the biggest players in the field. Trying to oust them from the top spot for certain keywords isn’t a feasible strategy. But more importantly (especially in the content marketing perspective), core terms won’t give a content marketer actionable content ideas because they are too generic. By expanding your core list, you’ll be able to discover article topics to develop further. 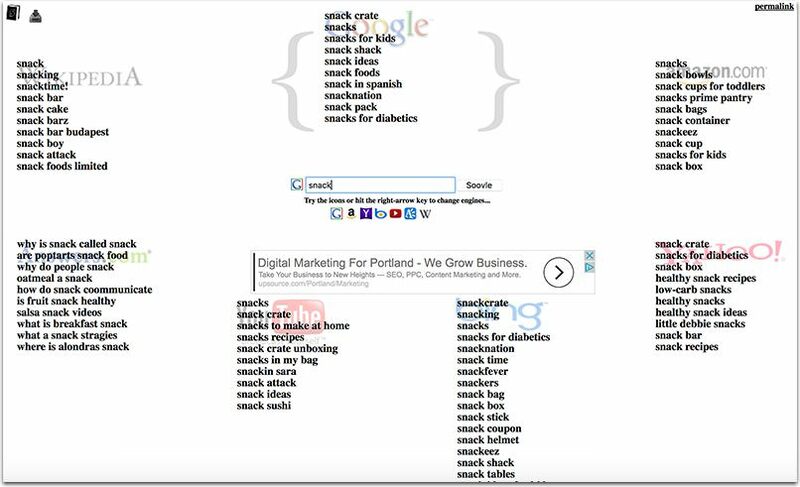 Instead, you should be looking at modifying keywords. These are add-on words to the core (or primary) keyword that help give you an edge. So if you were, for example, a snack food brand that sent out monthly orders on subscription you would use something like “organic natural snack box” or even “nature box alternative”. The bold indicates the core, the italic the modifier. Start with these free tools to help you modify your core terms and better understand your niche as well as find your unique place in it. Top related queries: These are the most popular search queries and in many cases the core terms you’ll be digging into to modify and break down into more specific article ideas. 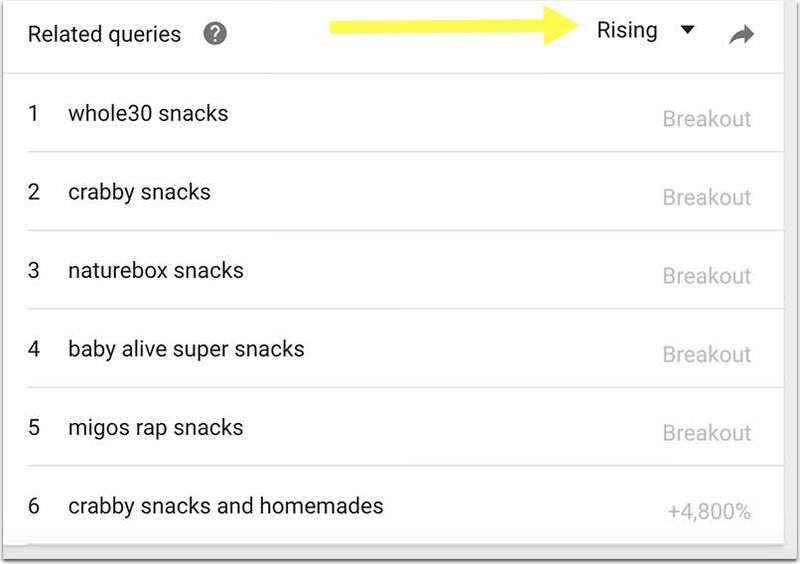 Rising related queries: These are queries with the biggest recent increase in search frequency. Results labeled “Breakout” had the most dramatic and sudden increase in search popularity. 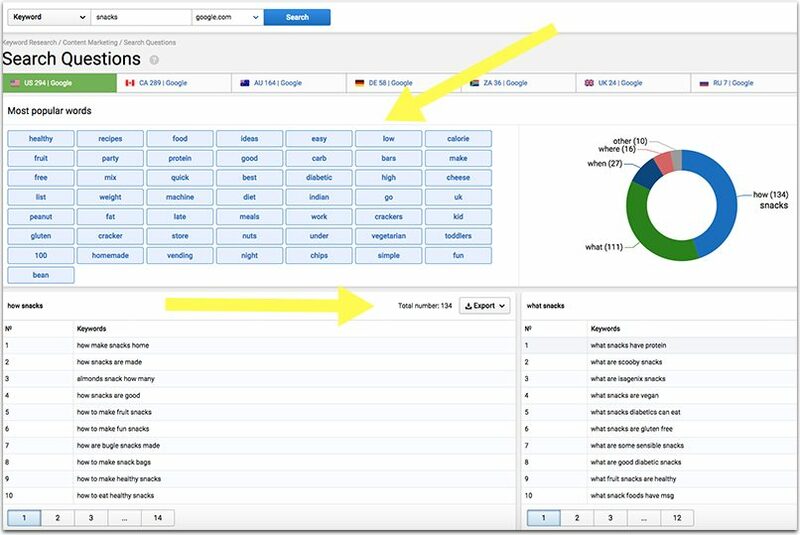 Increase your results by searching across multiple engines. Soovle works by doing its keyword research through seven sources: Google, Yahoo, Wikipedia, Bing, YouTube, Amazon and Answer.com. Being able to use sources other than Google gives you an opportunity to narrow results based on your needs and audience. Be sure to check out the “secrets” tab for more information on how Soovle works. 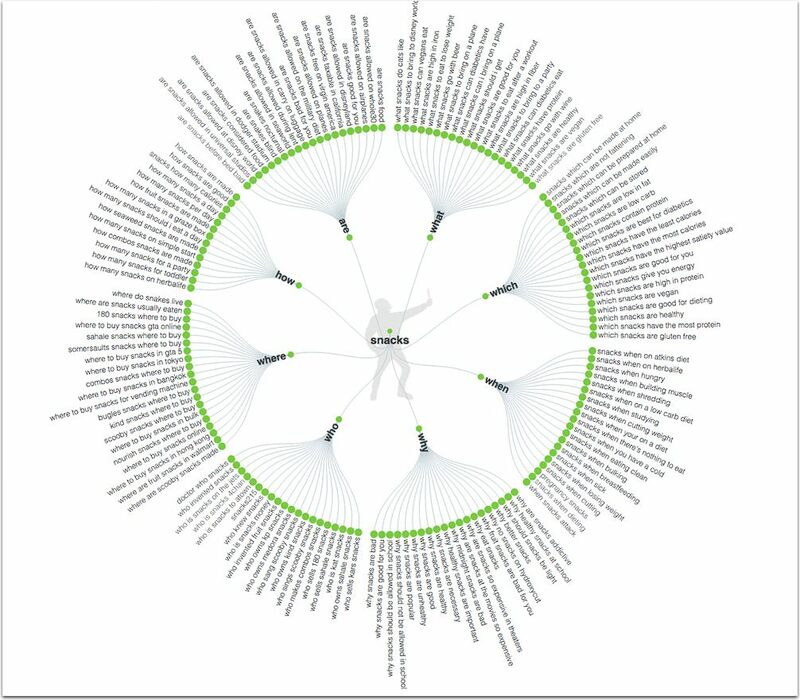 Soovle won’t let you dig too deep, but it’s a good tool to mind map the future scope of keywords about which you’ll be building content. I have always thought that you shouldn’t do the work if it has already been done for you. Or you should at least take advantage of that work when you come across it. Competitor research is a great way to show what keyword research they have been doing. The biggest benefit here is that your competitors are not only researching keywords, but are molding their strategy to fit them. So you can see the end result, which can be awesome for figuring out what it is that your mutual audience is responding to (or not responding to) without implementing it first. Seeing which keywords your site already shows up for in Google’s SERPs is the lowest-hanging fruit when it comes to improving your content rankings. Question-type queries are often straightforward content ideas. Knowing which questions people are asking in your niche gives you valuable insight into their struggles. Bloomberry is not a proper keyword research tool, meaning that it doesn’t show you keyword sets. It crawls forums and Q&A databases (including Amazon’s Q&A section) and shows you related discussions. 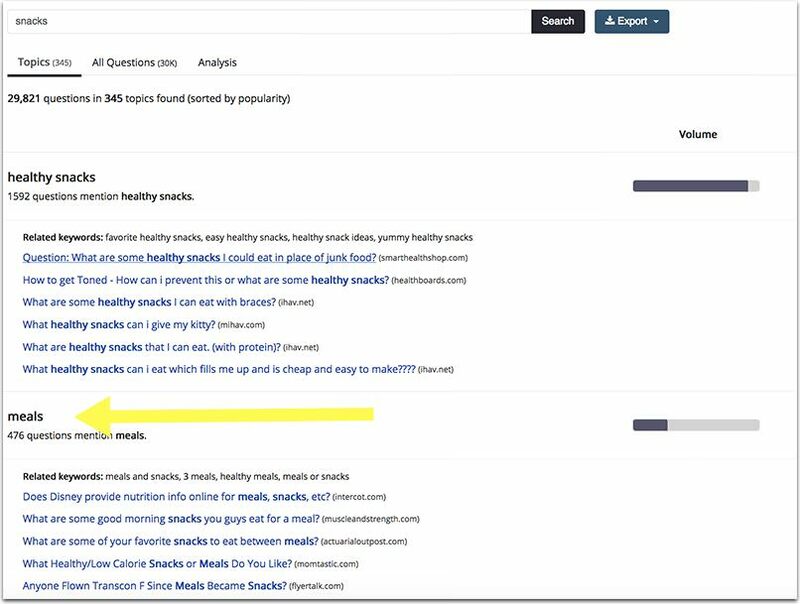 Like AnswerThePublic, Serpstat uses Google’s Suggest database to identify question-type queries. It will also analyze the results and create a tag cloud of the most common terms that show up in questions along with your core term. Listening to real people in your industry is the best source of inspiration. Nothing else will better arm your content marketing team than productive interactions with people who actually talk to their direct audience on a daily basis. Your sales team is the goldmine of content marketing insight because they answer lots of questions on a daily basis, both on the phone and via e-mail. Make sure all the questions are recorded properly and passed on to your content team to be addressed on your site. Your sales team may not even need separate software to record those questions. Many sales management platforms already have that integrated to help salespeople address frequently asked questions quickly and efficiently. Salesmate is one example I have been using successfully to collaborate with sales people. 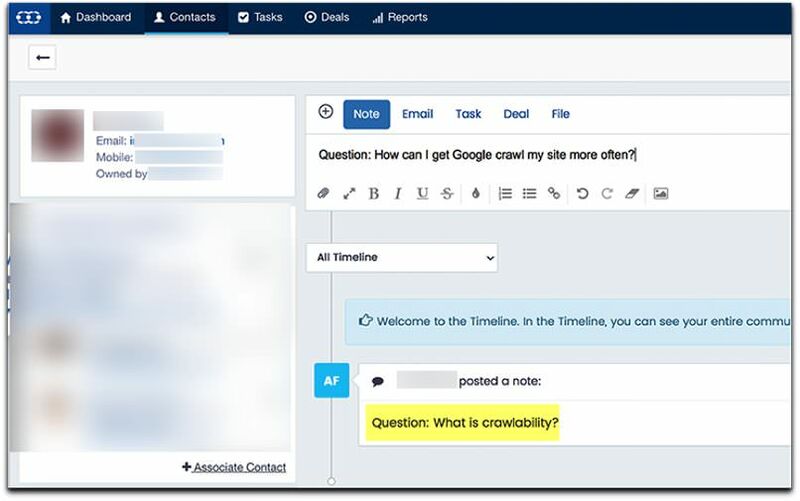 You can track and record the sales process and see which questions popped up at each step and you can also leave notes with questions from the leads. Seed Keywords is a simple tool that lets you find related keywords with help from your followers. Just create a search scenario and ask your followers and friends to type in the keywords they would use to solve it. Try not to be too leading with your search scenario. Don’t guide people to the search phrase you think they should be using. You can create similar surveys with SurveyMonkey or Google Forms, too. Whenever I speak about keyword research at conferences, I always get this question: How important is keyword competition for a content marketer? Would you recommend creating content on a competitive terms, those that your site is unlikely to rank for in the foreseeable future? My short answer is always yes. Not all content will rank but you want your site to be an ultimate resource so your teams can refer clients to your pages whenever a popular question comes up. That being said, I do pay attention to the organic search competition to estimate whether a content piece is likely to rank. 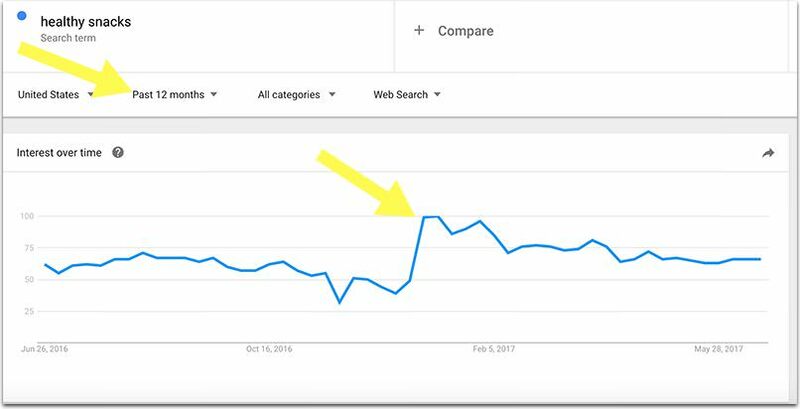 All major keyword research solutions (including Serpstat, SEMrush and Ahrefs) rely on the “keyword difficulty” concept to show how difficult it would be to rank for each query in Google. So take note but don’t let that be the major factor influencing your decision whether to create content around the phrase or not. With so many databases and sources, there’s a good chance that you’ll quickly get overwhelmed. The good thing is that keywords don’t only inspire, they also help you get organized. The first step is to identify keywords with “informational” search intent. These are your direct content ideas because people using them to search don’t intend to buy just yet, but they are interested in learning more and researching further. You can read more about keyword intent here. In most cases, you’ll need your common sense to identify informational intent. 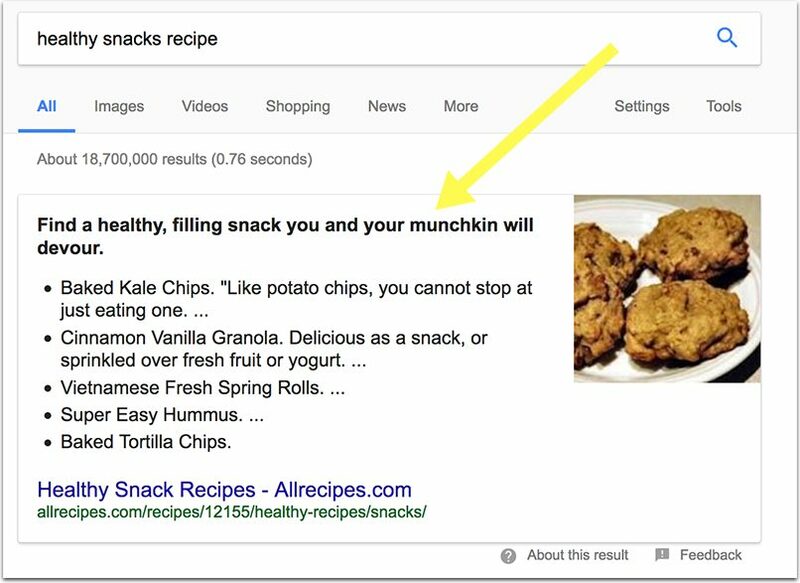 For example, people searching for [healthy snacks recipe] are probably not looking to buy anything yet but instead need a recipe to cook at home. 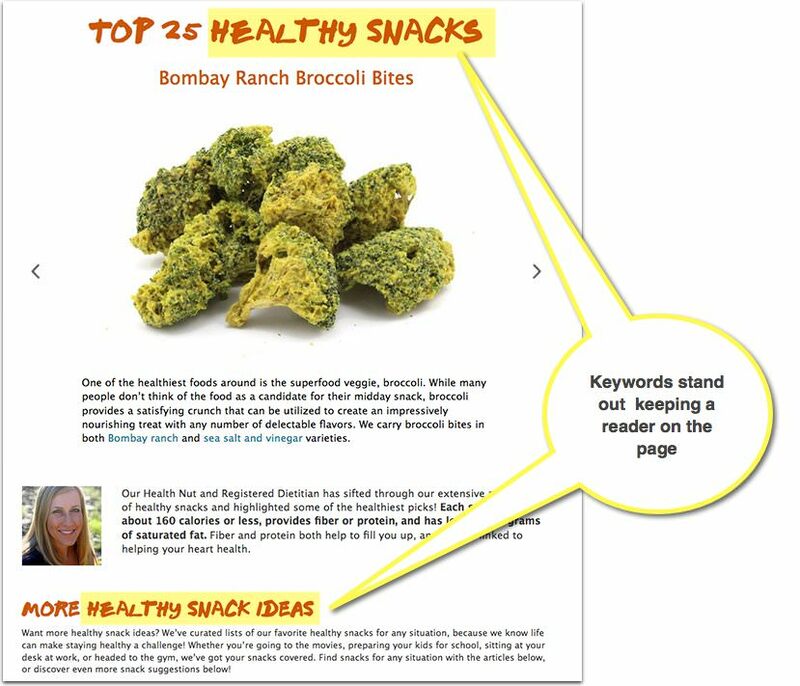 Modified keywords: Ideas for articles, lists, FAQ sections, product reviews, etc. Various types of cornerstone content (i.e. “content upgrades”): If you feel like there’s a lot to say about the search term, you may want to create a huge PDF guide or an infographic to give your customers something to download and take home. Here are a few examples of digital products you can develop to collect leads and monetize based on your keyword research process. Again, your common sense will help you find keywords that should be implemented by a certain date. 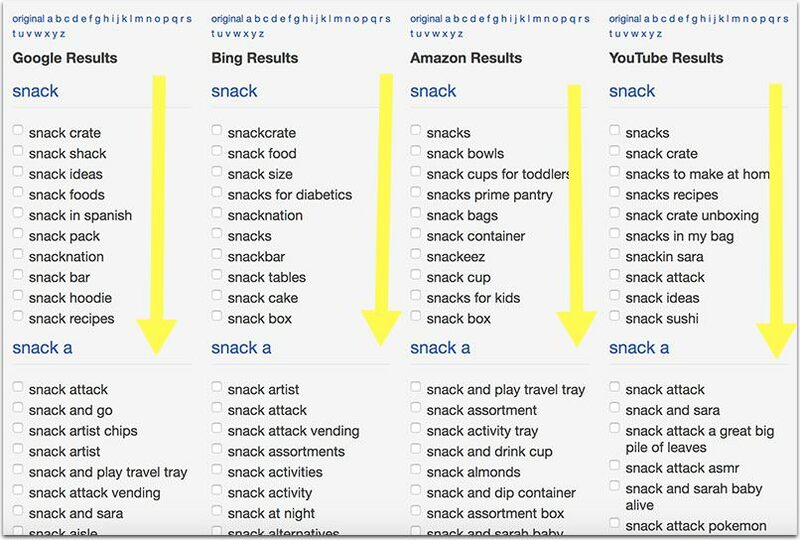 For example, [halloween snacks] is a pretty straightforward keyword showing you that related content should be published at least a week prior to the holiday. I use a separate editorial calendar dashboard in Cyfe. You can iFrame as many Google Docs there as well as import your Google Calendar and keep your plans next to your editorial to-do list. You can also add your team members (editors, writers, on-site optimization manager) to have a centralized dashboard for your content marketing tasks. Forget about keyword density. Forget about keyword tags. It’s amazing how many people still associate keywords with those two outdated SEO concepts. Keyword research is the most essential part of content marketing. It helps a writer on so many levels, from understanding your reader and brainstorming, to organizing and structuring your content. There’s no way a content marketer can do without keyword research! Ann Smarty is the brand and community manager at Internet Marketing Ninjas as well as the founder of MyBlogU.com. Ann has been into Internet Marketing for 10 years, is the former Editor-in-Chief of Search Engine Journal and contributes to prominent search and social blogs, including Small Biz Trends and Mashable.